Greg Wilson was a pioneer in the bamboo flooring industry before hemp was legalized. His company uses technology popularized by China’s strand-woven bamboo industry, as well as technology developed at his other company SmartOak, which creates engineered wood products from logs that would otherwise be turned into wood chips. 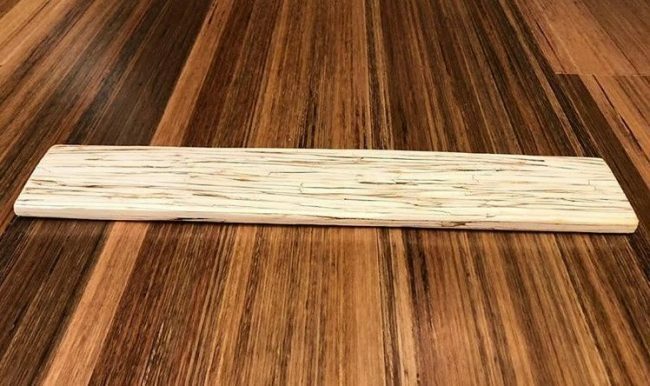 His patented product is named “HempWood” and is made out of compressed hemp pulp fibers, held together with a soy-based glue. It will be used to make flooring, blocks, boards, cutting boards, and skateboards, all at prices far cheaper than oak. Even though it looks like oak, the HempWood is 20 percent harder, and grows 100 times as fast, as the hemp needs about 6 months to mature. This product offers benefits for oak trees as well, as the high demand for solid oak furniture has made them among the most endangered trees in the planet. The Kentucky Economic Development Finance Authority gave Fibonacci $300,000 in tax incentives, and depending on the performance of the factory, he could keep some of its investment by meeting job and investment goals. It is expected that 25 people will be employed, and the company will benefit from free recruitment and job placement services from the Kentucky Skills Network. According to the Kentucky Governor Matt Bevin, this new product will open up new possibilities within the construction and woodworking industries and points out some of the undiscovered capabilities hemp can offer in numerous sectors.